Detype is a creative / web agency based in Kettering servicing business in the Midlands. To aid their continued growth Detype needs to increase the Leads they receive from high value online searchers. Our team have manually audited your Google Adwords campaigns, below we have highlighted key factors and have listed target benchmarks based on accounts that perform best. 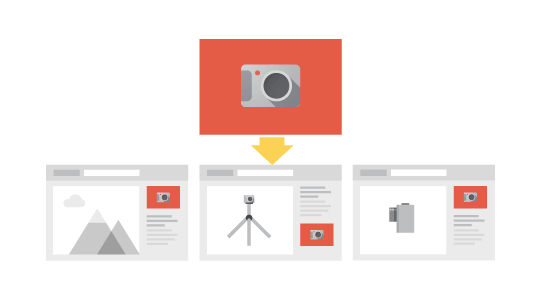 low CTRs indicate poorly targeted campaigns that lose clicks to competitors. Low click-through rates hurt Quality Scores and limit results. Higher Quality Scores will increase your impressions and lower your costs. With an average score lower than 7 you’re missing out on high-quality leads for new business. A low conversion rate means either quality of the traffic being sent to your website is too low or that your landing pages are not optimised properly. By spending more time in your account, your key metrics and results would all improve. Neglected accounts with fewer regular optimisations will be losing ground to competitors. Utilising more negative keywords will save you from wasting your click budget on irrelevant searches. Writing more targeted ads will go a long way toward improving your results across the board. Split testing multiple ad copy veriations is essential for continued account progression. A high percentage means the keywords you are targeting don’t have enough daily budget to cover all searches. An increase in daily budget will increase clicks and conversions. A high percentage means you are bidding too low for the keywords you are targeting. An increase in bidding approach will increase clicks and conversions. A lower number of landing pages means you’re not effectively targeting your best keywords and potential customers. Listed below are 10 keywords from your account that provide you with some of the best opportunities for campaign growth. Keywords were reviewed and selected with relevancy and search volume in mind. For success using Adwords it’s imperative you are working within the correct budget range and cost per clicks for your market. When your daily budget is too low and it’s used up quickly and on too few clicks, you will be missing out in lead / sales opportunities. Your campaigns will suffer if you’re not following PPC best practices, always ensure you properly target your PPC advertising efforts. We now have insight into your business and current Google Adwords setup, we know precisely what is needed to increase the leads / sales you are gaining from you Google Ads and website. Below is a list of the most critical elements we will work on as a priority for you. The Google Display Network is a collection of third party websites and apps that accept Google AdWords ads. The Google Display Network allows us to target very specific groups of people by only triggering our adverts when they are consuming content that relates to our offering. We use keywords to trigger your ads to be shown to people who are visiting or have visited websites with content that’s contextually relevant to those keywords. We create placement campaigns which only serve your adverts to specific predefined websites, web-pages, apps, or individual ad units. We can choose to display our ads alongside the top content topics being consumed across the Display Network. When you associate your brand with the right content, you can connect with the specific audience who consume that content.